Once again the Denver Art Museum is ready for Valentine’s Day! Join us and other museums across the country to spread the love with Hearts for Art. From February 11–February 15, you’re invited to show your love for a favorite work of art by placing a paper heart on the floor in front of your artwork crush. Please note: Not everything at the DAM is in the mood for love. Hearts and photography are permitted in all DAM galleries except works marked with a No Photography sign. Ask your friendly gallery host if you are unsure. 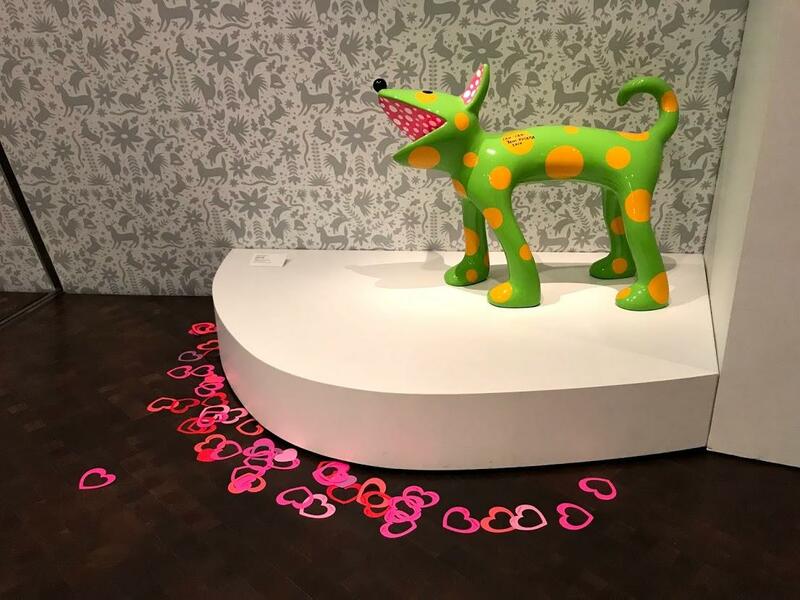 Visitors showed their love for Yayoi Kusama's Can-Can, on view in Stampede: Animals in Art. From the Collection of Robert and Lisa Kessler.